Recently I like making a Italian dinner with ingredients from Eataly. One day, I found a goo Uni(Sea urchin) box at their seafood section. It made me want to eat a Uni pasta only at the first glance. I bought the Uni box for twenty two dollars. 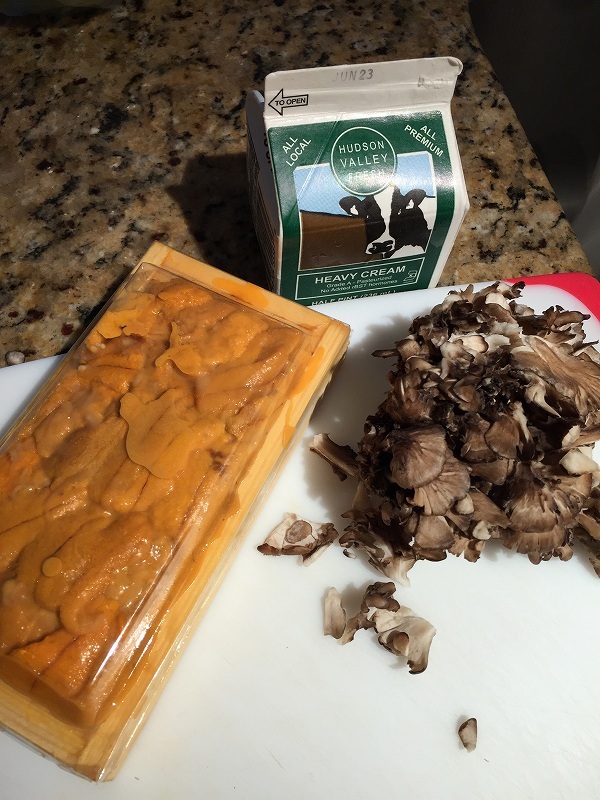 All ingredients for Uni pasta. 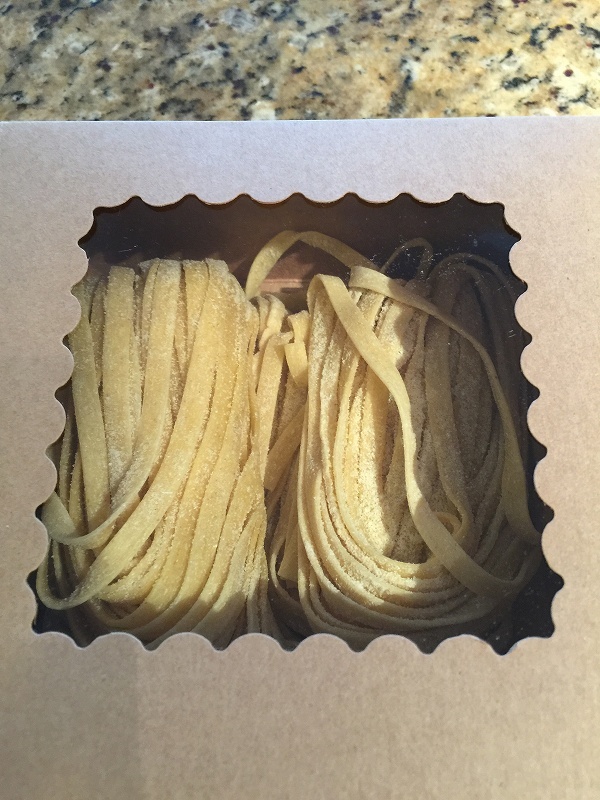 I like fresh pastas sold at Eataly, too. 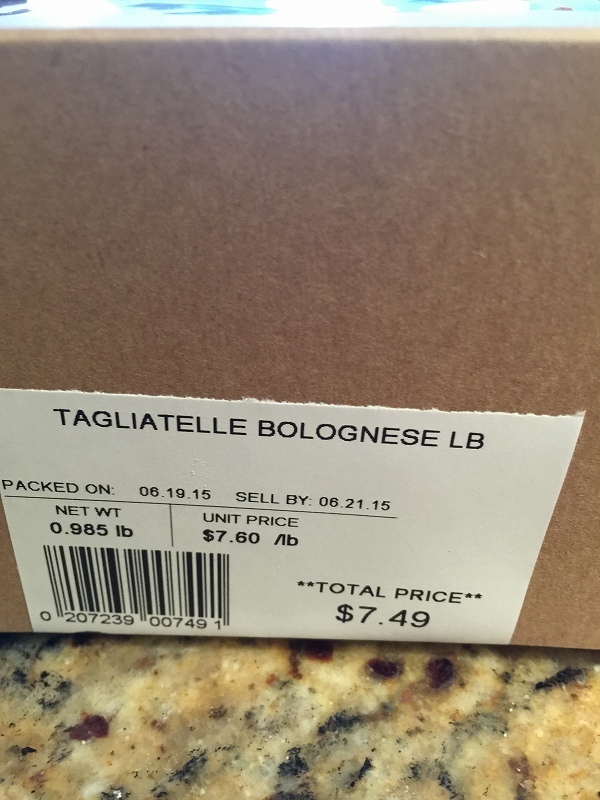 Today’s pasta is Tagliatelle for $7.49. 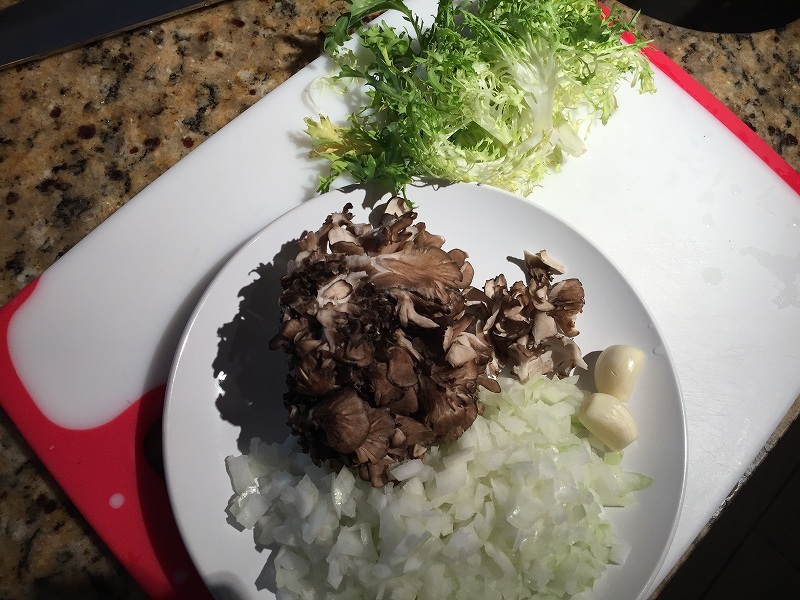 Boil pasta and stir frie onion and Maitake in olive oil. 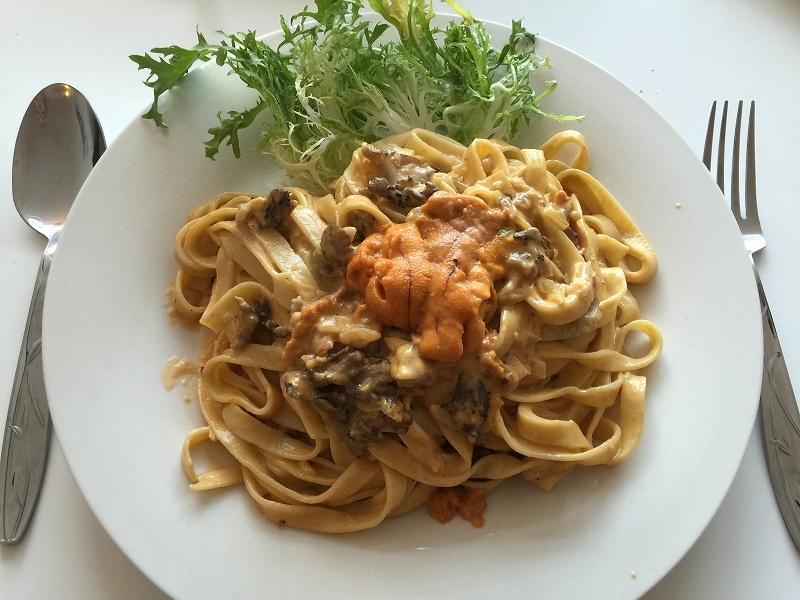 Once all materials have been cooked, mix the boiled pasta, Uni and heavy cream. Then add the little vegetable stock. Put few pieces of uncooked Uni. And sprinkle Parmigiano Reggiano cheese on it. Its cost is about $20.00 par dish. But it’s very delicious pasta.